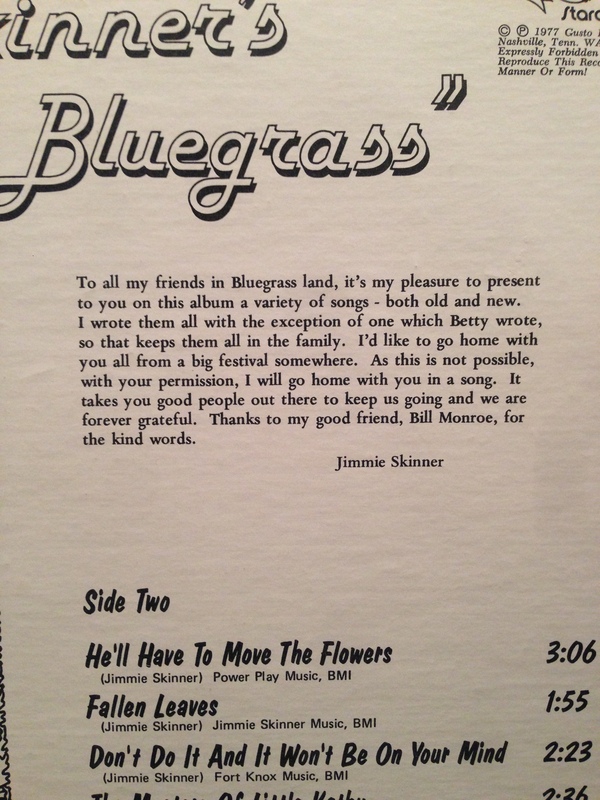 Jimmie Skinner confesses on his 1977 album, “#1 Bluegrass”. There’s weight behind those words. 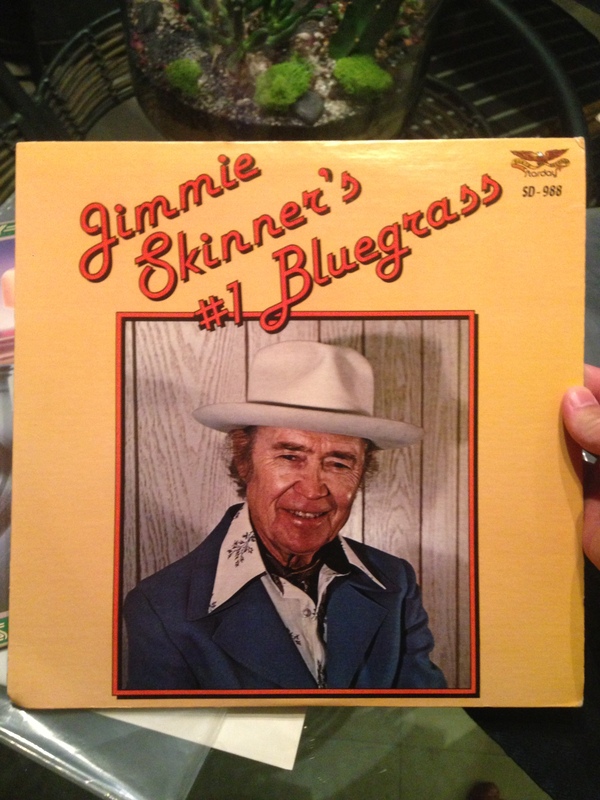 Skinner has experienced the lament of concerned Country music fans first hand as a touring Bluegrass musician. In the late 70s Country music was experiencing a number of revivals. The “Outlaw” Country musicians were having their moment in the spotlight… guys like Waylon Jennings, Willie Nelson, Johnny Paycheck, of course Johnny Cash had also embraced that ethos. Country was being influenced by rock music, the line between the two was becoming more blurred with each year that passed. On the other hand you had the more pop country tunes coming out from the likes of Kenny Rogers, Glen Campbell and John Denver. Depending on your perspective you might call it progression, degression or evolution of a form. Country music was fighting to stay relevant. It was adapting to the changing times. 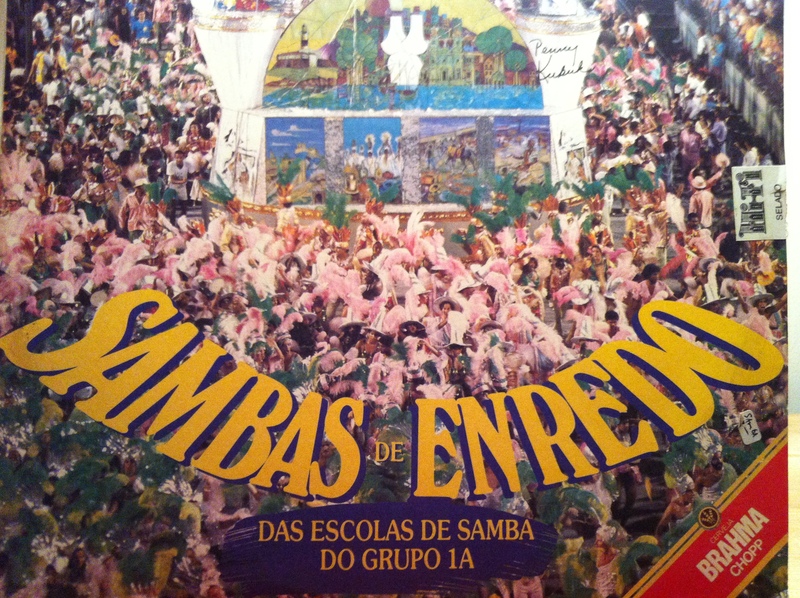 Traditionalists were pushed to the fringes of the genre. Small neotraditionalists and revival movements popped up in different regions of the country. The acoustic/string band movement is experiencing a similar revival today. Just take a trip to any big city in the country and you’ll find that to be true. Everyone listener and critic had their opinion on the state of country music. But what did the old-timers think? 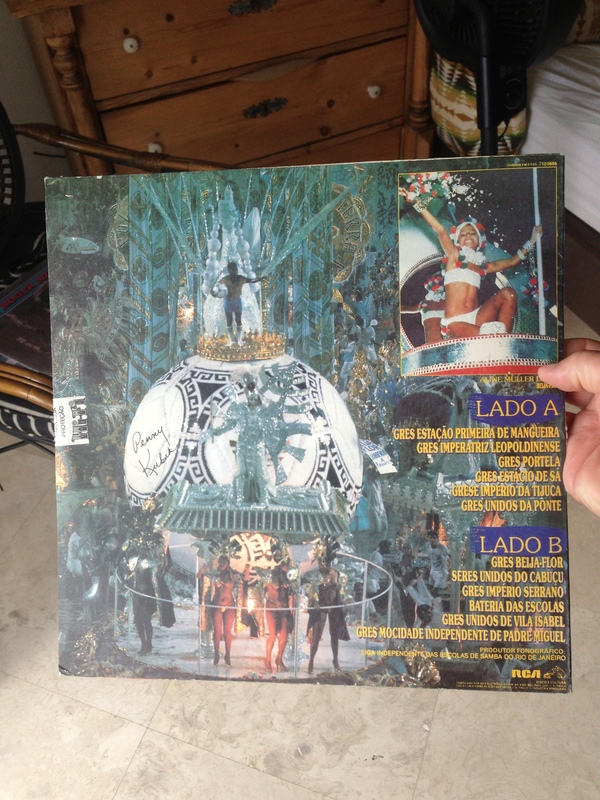 What was it like being a long-time recording artist trying to stay afloat in a sinking form of musical expression? Jimmy Skinner put his thoughts on record for us to hear. Jimmie Skinner was born in 1909 and died in 1979, two years after the release of this, his final album. With 50+ years of songwriting under his belt, Skinner felt no need to change his tried and true formula. These are straight-up, roots Bluegrass songs; the record is a sort of living anachronism. Despite what the opening paragraph might lead you to believe, there’s nothing doleful about these songs. Almost every song is uplifting and positive. 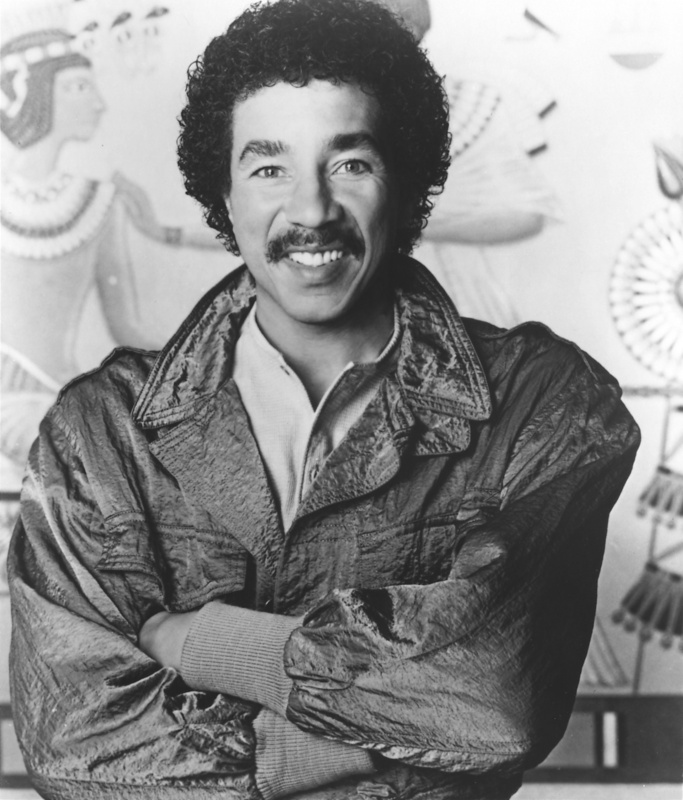 There are songs about being an independent recording artist, as Skinner often was. On the album’s third song, “This Old Road”, Skinner goes into a bit of spoken word about his place in the music industry. He talks about pressing his own records, booking his own tours and generally adhering to a DIY ethic. He expresses his struggles in keeping up with the likes of country music legends like George Jones. This song is a sort of proto-punk/indie anthem. In fact, a very interesting aspect to Skinner’s career is that he self-released a lot of his records. The guy was way ahead of his time. The record was way past it’s time. While other artists were conforming to whatever trend was hot at the time, Skinner stuck to his guns and delivers some real fine American “roots” music. Some of the other highlights of the album are, “Whoopie Liza” a new version of Skinner’s classic single, “My Little Liza Jane”, “Don’t Do it and it Won’t Be on Your Mind”, a little morality number about the pitfalls of cheating and how to avoid it. In that song there’s a little tip of the hat to the classic Ernest Tubb number, “Warm Red Wine”. “Fallen Leaves” is a cheery up-tempo number for fans of faster Bluegrass music. 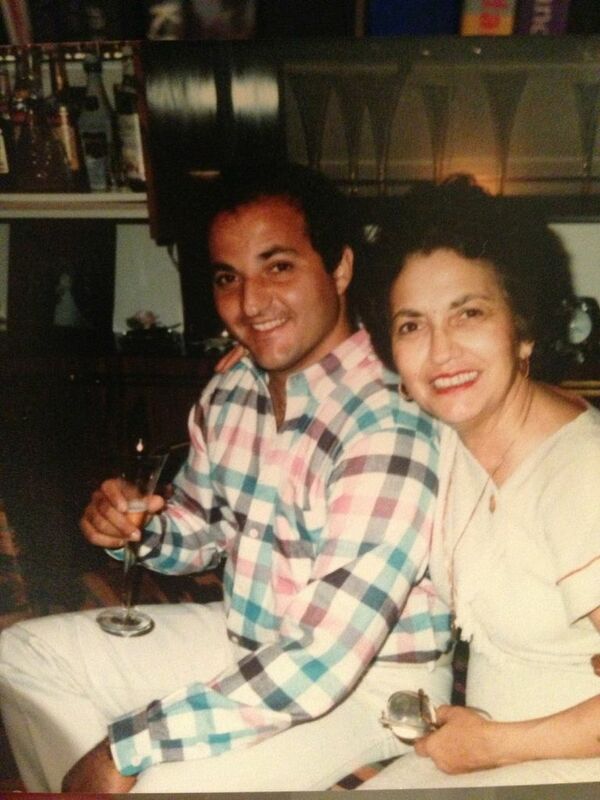 They say you should respect your elders, there’s a lot you can learn from someone who has been around the block. 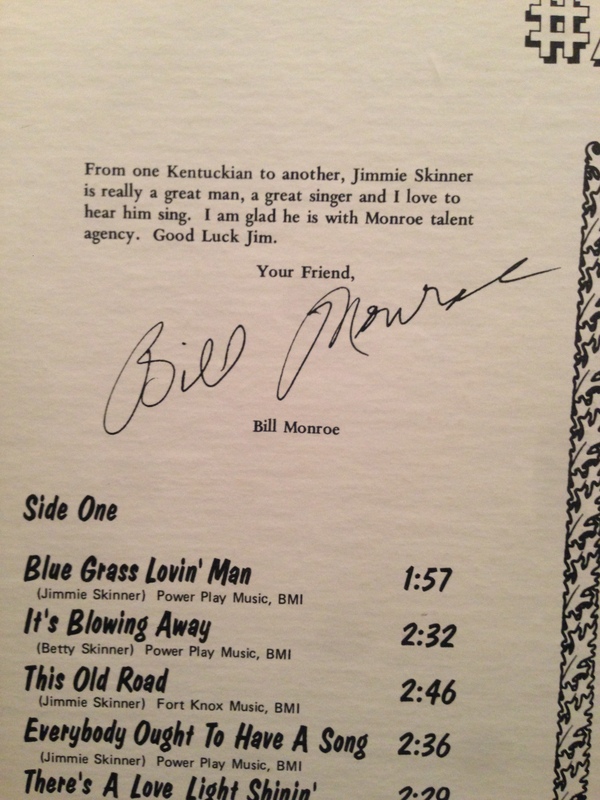 Jimmie Skinner is more deserving of that respect than any recording artist I know of. These songs have a special sting to them when sung through his matured throat. It’s a great album to enjoy sit back and enjoy the summer breeze with. I hope that you enjoy it as much as I have. God Bless America and Long Live Country Music.